The world of photography is wide and rich. It is hard for the beginner (whom we also consider ourselves to be) to make a choice. What object should be chosen as a model? How much money would the hobby demand? Actually, nature represents to us many simple and at the same time beautiful models. The most part of your first nature photos will not require complicated and expensive photoequipment except for a camera. Just take a look around while holding a photocamera in your hands and you will see familiar places and objects in a new magnificent way. Starting this project we've had a purpose to represent the beauty of the surrounding world to our visitors: pictures of flowers, animals and plants, photos of the "Chrisantemum Ball" and admirable roses of Nikitskiy Botanical Garden (Yalta), photoshots of home pets, butterflies and insects. Everything has a reflection at our galleries. 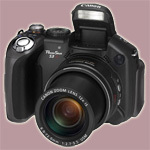 "PhotoStart" project contains many amateur photos concerning different topics. Images are constantly being renewed and improved. All materials presented are "raw" and were never under influences/corrections of Photoshop or similar programs. We are happy to report that we started to fill the "Articles" section (for now available in Russian only). We hope that you will find useful our articles concerning photoraphy as a whole and photo image processing and correction. You can also take part in filling up our collection. To do this please send us your photos to EMail given in "Contacts" section and don't forget to mention author name, photo title and the name of your photo camera. If you're interested in flower pictures you should visit website PhotoGlade.com. You'll find a lot of amateur photos of Crimean flora there. All photos are classified for easy navigation. The image collection grows every week, so does the number of categories. It is likely that you'll find something important and interesting there.